Before building a house, you need to decide what to build it from. It is the chosen material that determines how strong and comfortable the house will be. Good walls and heat will not give out to the street, and outsider noise will not be allowed into the rooms. And they must be environmentally friendly and fireproof. 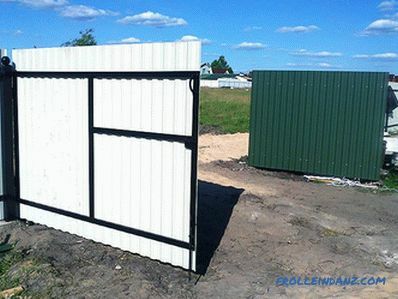 Now at the peak of popularity are light and durable cellular materials for walls. Often, the developer long wonders what to buy: aerated or foam concrete - what is the difference between them. At first glance, it is not at all. And let's take a closer look. Cellular concrete is a lightweight cement-based material. Their feature is the presence of numerous cells, so that the material acquires many useful properties - both physical and mechanical. Cellular concrete has several varieties. In addition to the aforementioned foam concrete and aerated concrete, there is, for example, gas-foam concrete. 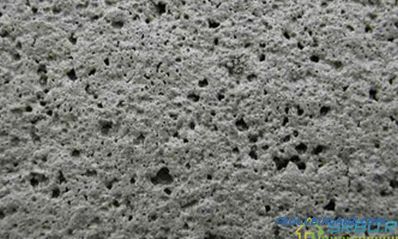 Porous concrete can be autoclaved and non-autoclaved. The autoclave method involves hardening the material under increased pressure in an airtight container to which saturated water vapor is added. . The non-autoclaving method assumes that the material hardens in its natural environment. At the same time it is heated with electricity. Concrete treatment with saturated steam is also possible. But, unlike the previous method, the pressure does not increase. Foam concrete and aerated concrete differ significantly from each other. They have different composition and characteristics. And in the operation of both materials manifest themselves completely differently. 1. To make foam concrete, the cement base is mixed with special additives. They are necessary for foaming the mass. These frothers are either based on synthetic substances or organic. The foam mass falls into special forms, where it hardens in its natural environment. The result is a foam concrete blocks. The material, called monolithic, is poured not into forms, but into formwork. After solidification, the removable formwork is disassembled. Fixed formwork remains in place. 2. There is a significant difference between foam concrete and autoclaved aerated concrete. The latter, unlike foam concrete, can be made only under production conditions. In order for it to foam, do not need special chemical additives. Aerated concrete consists of natural substances - water, cement, lime and gypsum. Also some aluminum is added to it - in the form of powder or paste. This substance promotes gas formation. Make aerated concrete in a special tank - autoclave. To give the material strength, it is subjected to high pressure and temperature, as well as water vapor. In the production process, a chemical reaction occurs between the components, and a substance with new properties is formed. And its crystal lattice is similar to the lattices of some organic substances. These are, for example, calcium silicates, in particular, tobermorite. The chemical reaction is accompanied by the release of hydrogen - it is this gas that makes the material porous and fills these very pores. The structure of aerated concrete. When the aerated concrete finally hardens, it is time to cut it into neat identical blocks. For this, strings are used that provide an almost perfect flat cut. Due to this, when laying blocks of aerated concrete, the seams are very thin. So the cold bridges through which a lot of heat can go outside can be avoided. 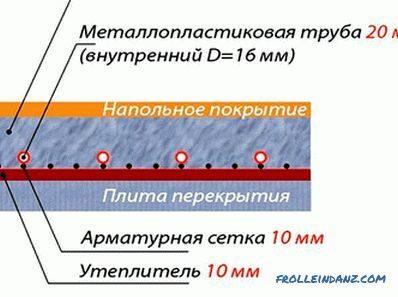 GOSTs for the manufacture of both materials and the same . No deviations from them are allowed. It would seem that the characteristics of both porous concretes should coincide. In fact, there are differences. The difference in manufacturing techniques affects these two parameters. So, aerated concrete absorbs water like a sponge. Because of this, during frosts, he shows himself not the best way. Foam concrete has a much lower water absorption. But it should be remembered that usually the walls of cellular materials do not leave "as is" - they are covered with a protective layer. This may be plastering, siding or tiling. 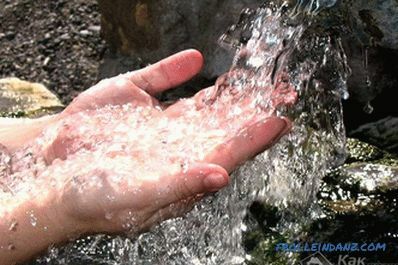 So in practice, you can not take into account the difference in water absorption. But you may know that aerated concrete loses here. The density of both porous concretes can vary from 300 to 1200 kilograms per cubic meter. If you make a comparison of aerated concrete and foam concrete of the same density, it turns out that the latter is less reliable and strong. 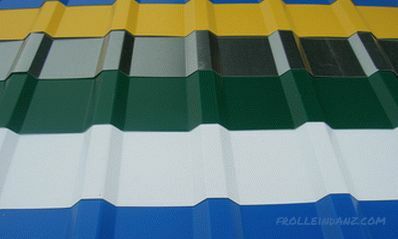 In addition, the strength of this material is directly dependent on the quality of the blowing agents. Since a good foaming agent has a high price, some manufacturers cunning and replace it with a cheaper one. The strength of foam concrete is unstable over the entire surface of the block. But the aerated concrete block is homogeneous and manifests itself equally at all points. During the production of autoclaved aerated concrete, a reaction occurs between lime and aluminum. The hydrogen produced as a result is far from all coming out during the curing of the material. Part of this gas (however, quite a bit) can come out during construction, and then, when the walls of the house are already folded. But hydrogen does not belong to poisonous gases, so it does not produce a toxic effect on the human body. Foaming agents that form foam concrete, both protein and artificial, also do not contain harmful substances. In addition, the pores of the foam are closed and tight. It turns out both of these materials do not have significant shortcomings in environmental terms and this parameter can not be decisive in the choice of a material. In a wall lined with foam concrete blocks, cracks occur. After all, the shrinkage rate of this material is from 1 to 3 mm / m. Aerated concrete blocks practically do not crack, since they have a similar parameter - no more than 0.5 mm / m.
The more dense the structure of cellular concrete is, the worse its heat insulating ability. Therefore, foam concrete has a small density - a better heat insulator than aerated concrete. But bearing walls cannot be laid out of it - it is not strong enough. Therefore, it is necessary to use a more dense material, but to make walls thicker, because its thermal conductivity is higher. 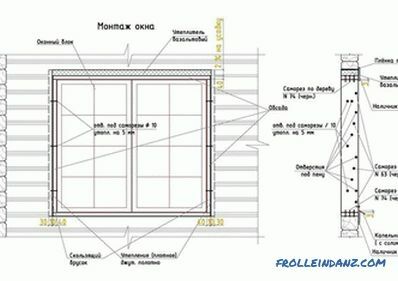 For example, for Novosibirsk, the walls of a house made of foam concrete blocks D600 should be no thinner than 65 centimeters. Then the house will be warm enough. If, under the same conditions, walls are made of aerated concrete, they will not be thicker than 45 or 50 centimeters. Yes, and the density at the same time will be sufficient D 400 or D 500. As you can see, aerated concrete is much better able to retain heat, and the wall of it turns out easier and more durable. However, aerated or foam concrete to use for your home, you decide. Both materials perform well in this regard. Moreover, these cellular concretes allow air to flow well, and also contain only substances of natural origin. They are light and easy to use. 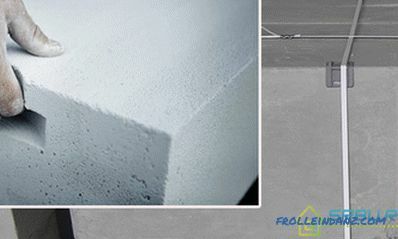 With regard to resistance to frost, the aerated concrete in this regard is safer than twice, and sometimes three times. Foam concrete is much cheaper - about 20 percent. After all, the components for its manufacture are not very expensive, and the equipment is not complicated. But in the construction of it may need more than aerated concrete. Therefore, you should not look only at the price of a cubic meter of material - first calculate the entire project of the future house. It is also important that aerated concrete is placed on the adhesive mixture, and for foam concrete blocks and inexpensive cement mortar is quite suitable. However, with glue, the installation is faster, and it will be needed much less than the cement mixture. The result is that the cost of laying foam blocks (including all materials) exceeds the cost of laying gas blocks. In addition, a thin layer of glue, unlike cement, does not give cold bridges. As a result, the house is more energy efficient. Since blocks of aerated concrete are manufactured in the factory, their dimensions are more stable than those of foam blocks. After all, the foam can be done directly on the construction site - with the help of special installations. As a result, the consumption of materials for laying, and the convenience of the laying itself are different for both cellular concrete. But this does not mean that aerated concrete is a winner on all counts. We hope that this comparison of the advantages and disadvantages of aerated concrete or aerated concrete was timely and helped you. Good luck in construction! Video: Which is better? 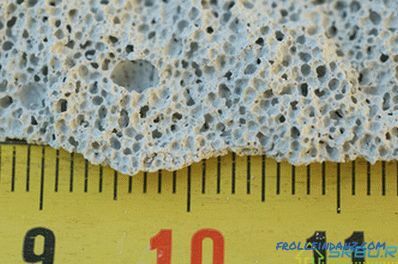 Aerated or foam concrete?